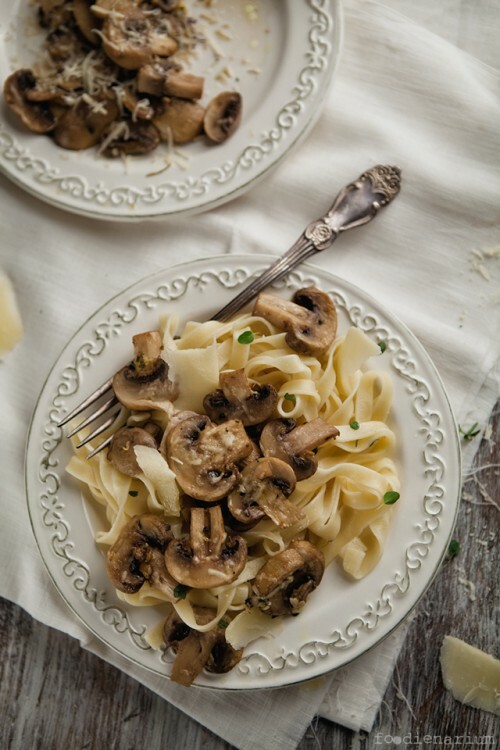 I’ve recently wanted some very easy pasta with mushrooms. Cream sauces are great but they bore sometimes. I want the very taste of the pasta not to be spoilt by the sauce, and as my wife loves mushrooms, it shouldn’t spoil their taste, too. 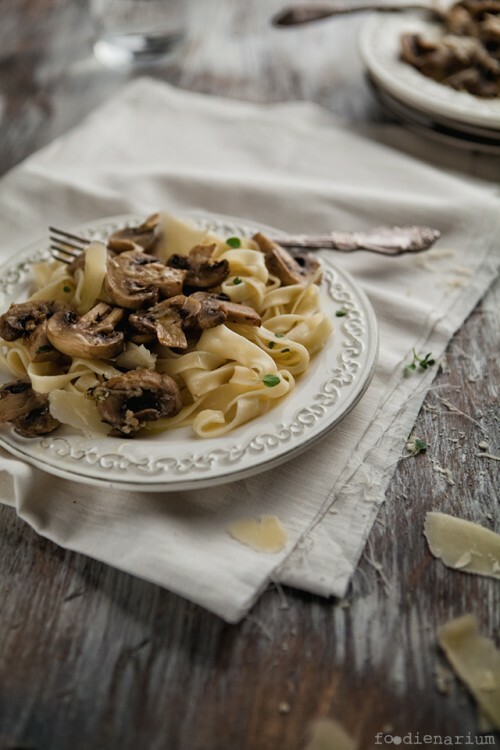 Without pausing to think, we decided just to cook fettucini and mix them with mushrooms baked with lemon and thyme. What can I say – they are just delicious!